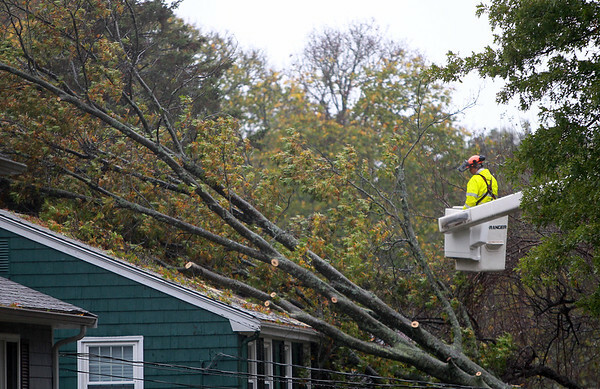 A worker surveys the top of a large tree which fell into 18 Dodge Road in Marblehead due to strong winds on Thursday afternoon. DAVID LE/Staff photo. 10/23/14.